Homeowner Jen and her children have spent the last four years displaced. When Superstorm Sandy ravaged the coast of New Jersey in October 2012, the family’s Union Beach home was left in ruins. 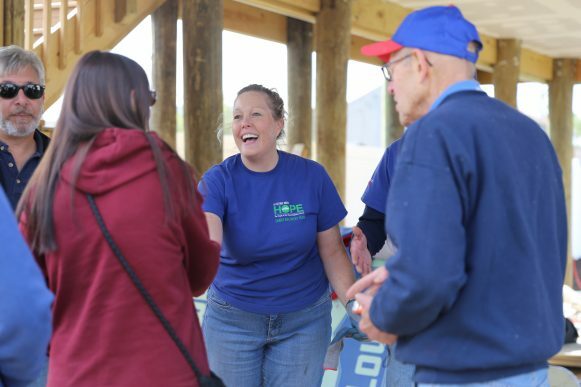 On October 29, 2016, Jen and her family joined Union Beach Mayor Paul Smith, U.S. 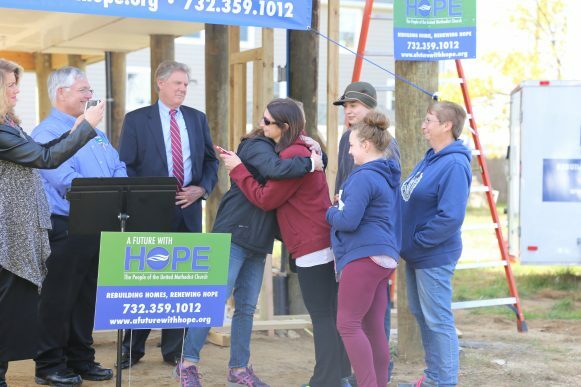 Congressman Frank Pallone and United Methodist volunteers from A Future With Hope to mark the anniversary and highlight the work that remains four years after the storm. Volunteers from United Methodist Church’s in Cranford and Haddonfield worked on the house Saturday morning. 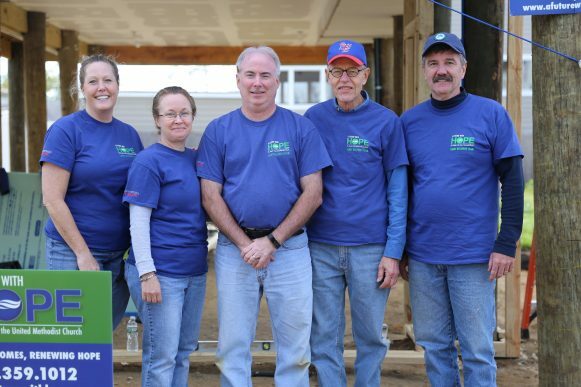 Since Sandy hit New Jersey, A Future With Hope has rebuilt 247 homes by deploying more than 11,000 volunteers. To accomplish this feat, A Future With Hope has received support from the Robin Hood Foundation, the American Red Cross, the Hurricane Sandy New Jersey Relief Fund, the United Methodist Committee on Relief, as well as individuals and organizations from across the region. They work in partnership with other long-term recovery groups including The Affordable Housing Alliance, SBP, the Episcopal Relief and Development and many others who have assisted with the disaster. Acknowledging that rebuilding is just one step in the recovery process, a special gift card was donated to the family to help them refurbish their home with items lost in the storm. 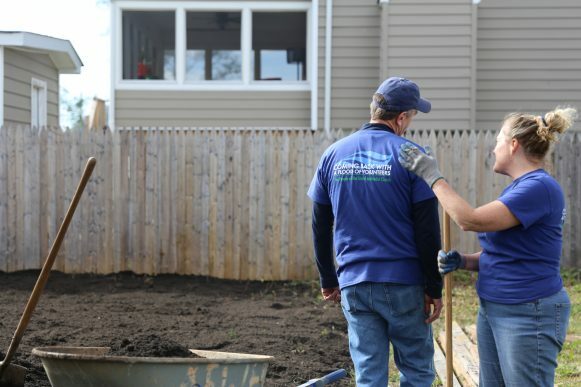 Created in response to the need brought by Superstorm Sandy in 2012, A Future With Hope is one of the last remaining nonprofit organizations on the ground assisting with long-term storm recovery efforts in New Jersey. 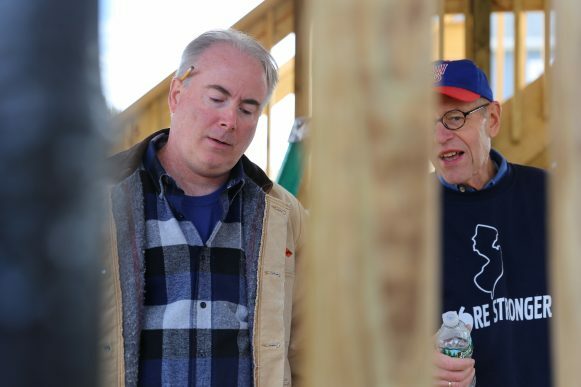 Started by The United Methodist Church of Greater New Jersey, the organization has rebuilt 247 homes with the help of over 11,000 volunteers from 44 states, DC and Canada and has provided relief to 450 besieged families. 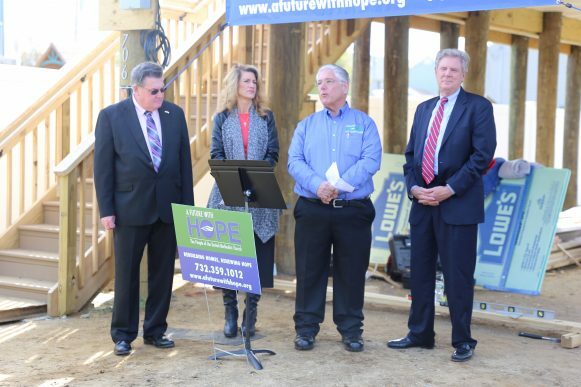 A Future With Hope is supported by the Robin Hood Foundation, the American Red Cross, the Hurricane Sandy NJ Relief Fund, and UMCOR, among many others.